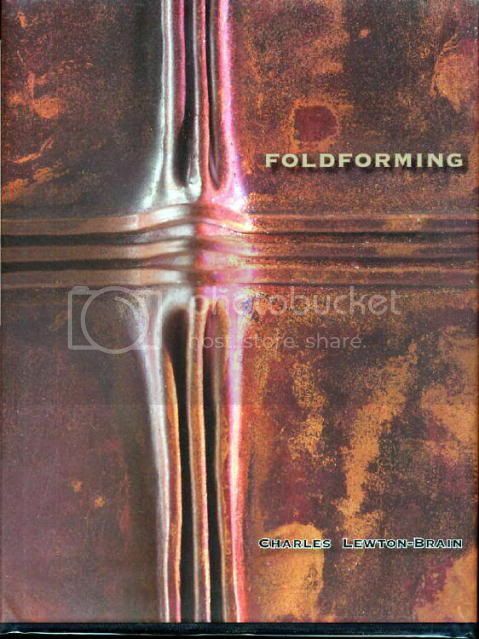 This is the long awaited collected information on CLB's fold forming techniques, tools, materials and the folds and forms that he and others that picked up his directions and intent. The book is a high quality products I have come to except from Tim McCreight and Brynmogen Press glossy pages clear bright photo's, Detailed descriptions were they are needed. Along with the step by step guide lines to follow the photo demo's. With the added line drawings of tools or techniques to make them clearer. It starts with the INTRODUCTION, a short history of the seeded of fold forming in Germany and its development. Along with his teach insight, and following the natural forms. categories of Fold-Forms basics of the basic folds. The 4 basic steps involved. Along with photos and explanations of each. Covers metals,deformation,annealing, working metal hot,metals for foldforming. Tools hammers, Mallets,opening tools,Anvils,Stakes and vises,and additional tools. Techniques, principles & variations, in the folding and the unfolding of the T-folds and wedge T-folds. This is were the fun really starts and your imagination can take hold and fold and flow. From cross-folds,rolled-folds,pleated M-folds pleated-folds,woven-folds,hydraulic press-folds,tube forming, belly buttons,hardness dams,folds from paper models,forge and shear folds,corrugations and combination folds. the family tree of foldforming, health & safety temperature conversions,equivalent numbers,suppliers and index. I really like they style of the photo demo's along with the short bites of information about the process that you are doing. with out a lot of going back and trying to keep track of were you are in the text. There are short sections of text in between the demo's. I highly recommend this book, it costs less than a carton of cigarettes. You can give it to yourself as an early Christmas present and then make up some truly unique presents that will be enjoyed and shown with pride.